A very large cold spot that has been a mystery for over a decade can be explained according to a team at the Institute for Astronomy at the University of Hawaii. In 2004, astronomers examining a map of the radiation leftover from the Big Bang (the cosmic microwave background, or CMB) discovered the Cold Spot, a larger-than-expected unusually cold area of the sky. The physics surrounding the Big Bang theory predicts warmer and cooler spots of various sizes in the infant universe, but a spot this large and this cold was unexpected. Earlier studies, also done in Hawaii, observed a much smaller area in the direction of the Cold Spot, but they could establish only that no very distant structure is in that part of the sky. Paradoxically, identifying nearby large structures is harder than finding distant ones, since we must map larger portions of the sky to see the closer structures. The large three-dimensional sky maps created from PS1 and WISE by Dr. András Kovács (Eötvös Loránd University, Budapest, Hungary) were thus essential for this study. The supervoid is only about 3 billion light-years away from us, a relatively short distance in the cosmic scheme of things. 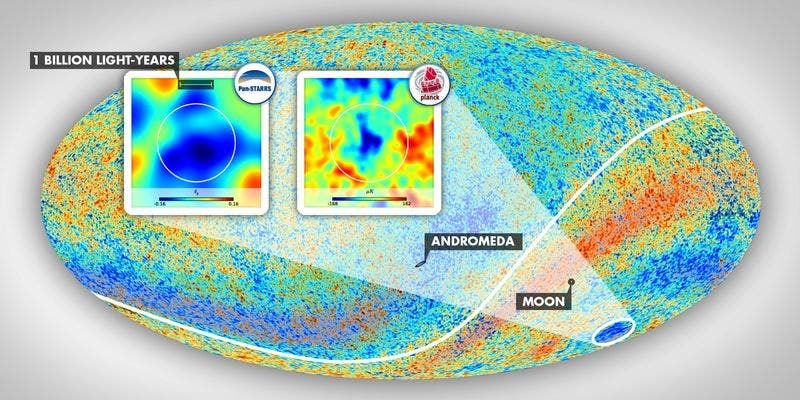 While the existence of the supervoid and its expected effect on the CMB do not fully explain the Cold Spot, it is very unlikely that the supervoid and the Cold Spot at the same location are a coincidence. 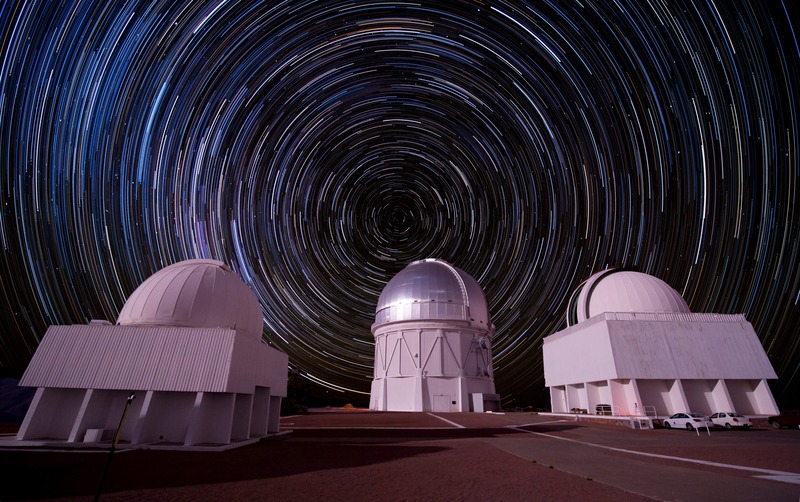 The team continues its work using improved data from PS1 and from the Dark Energy Survey being conducted with the Dark Energy Camera (DECam) mounted on the Blanco 4-meter telescope at the Cerro Tololo Inter-American Observatory (shown at top of the page), perched high in the Chilean Andes to study the Cold Spot and supervoid, as well as another large void located near the constellation Draco.